SAN FRANCISCO—Professional speaker and executive speech coach Patricia Fripp understands the power of impeccable presentation. 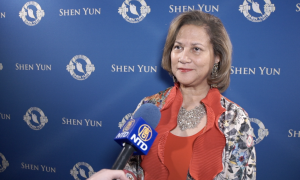 The award-winning speaker, who trains professionals in various industries how to give dynamic presentations and who described herself as a “great consumer of entertainment,” said the quality of the performance by Shen Yun Performing Arts World Company was beyond what she imagined. 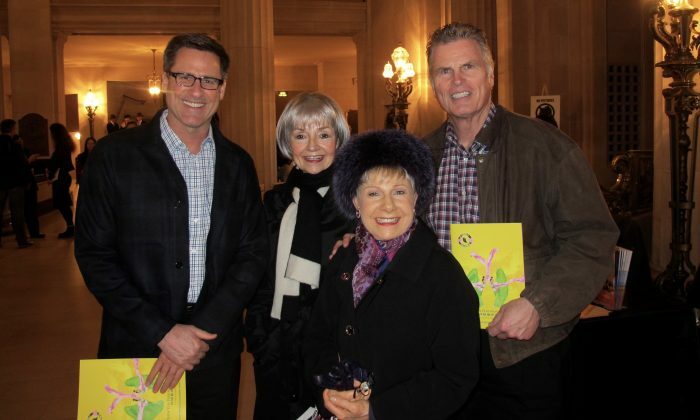 “It exceeded all expectations,” she said after seeing the performance at the San Francisco War Memorial Opera House, Jan. 7. 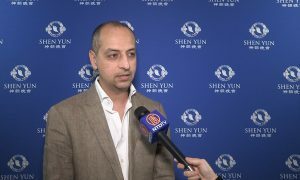 Shen Yun is a classical Chinese dance company based in New York. It was established in 2006 to revive the art form that has been nearly lost in its homeland. 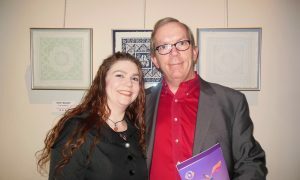 Ms. Fripp called the performance poignant and said she enjoyed the variety and history in it. 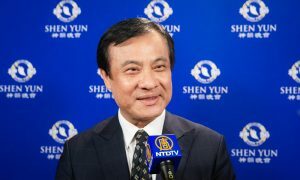 Besides classical Chinese dance, Shen Yun performances include ethnic dances, and mini-dance dramas that retell legends from ancient times and stories from contemporary China. And she appreciated the hundreds of colorful handmade costumes, and animated backdrop. “The beautiful costumes and the background were so creative,” she said. 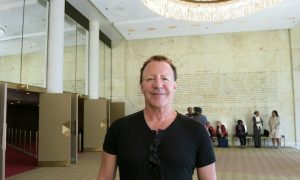 One of her companions for the evening, Tom Drews, former actor and founder and CEO of a professional training and coaching company, said the performance was a great experience and like nothing he had seen before. “I thought it was beautiful and graceful … and classy,” he said. For thousands of years, the Chinese called their country the “Divine Land” ( Shen Zhou) and the teachings of Buddhism, Taoism, and other spiritual traditions were the heart of the culture. It was believed that the arts were given to humankind as a way to bring some of the divine to earth. 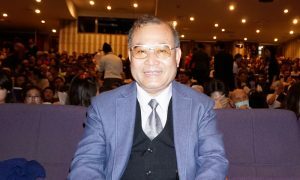 However over the past 60 years, systematic political campaigns like those of the Cultural Revolution were orchestrated to destroy traditional beliefs. Thus, though the form of the arts was maintained, the profound meaning they were intended to convey was nearly lost. 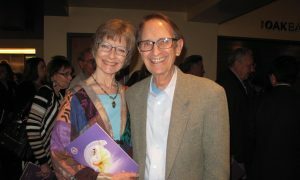 Shen Yun performances seek to revive the sense of divine inspiration. Ms. Fripp said this resonated with her and the performance brought a feeling of hope. “I certainly do relate to the spiritual side of the show,” she said. She said the best way she could describe the feeling she got from it was in the words of her brother, internationally acclaimed guitarist, Robert Fripp. “If he were here he would probably say: ‘In strange and uncertain times, such as those that we live in, any reasonable person might despair.